Getting on a train in London is more often a means to an end than a destination in its own right. But there are some superb trips you can make on rails in the city. All aboard! 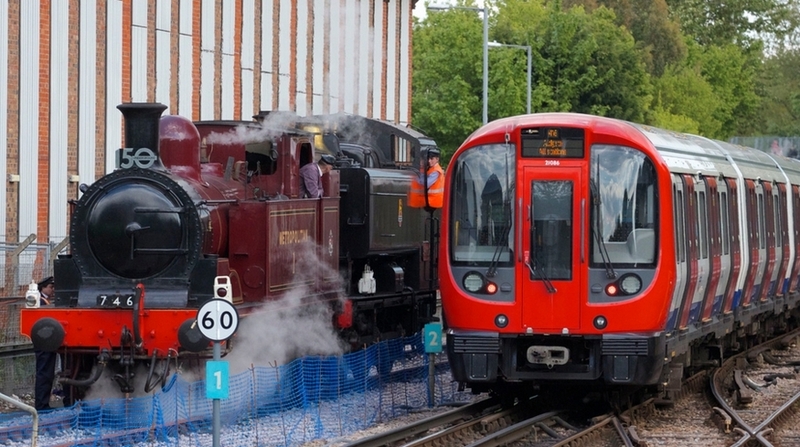 Yearn for the days of the steam-powered London Underground? Every once and again London Transport Museum resurrects this golden era of travel, putting Metropolitan line steam engines back on the tracks, and dishing up afternoon tea for good measure. Look out for future jaunts — it's not cheap but rather special. We love our ghost stations but sometimes they feel a little... disused. Not so at Cahoots — a rip-roaring cocktail bar themed like a 1940s tube station. OK, it's not a genuine station, and it does somewhat glorify the period it apes (we're pretty sure people cowering from the Blitz weren't quaffing carrot martinis) but it's a lot of fun, and, best of all, you get to drink in a replica vintage tube carriage fitted out with bona fide antique moquette. Ruislip Lido is home to Britain's longest 12" railway — whizzing you around half the lake, and weaving through the shade of Ruislip Woods. Take the trip from Woody Bay to Willow Lawn (rather handily located next to a pub). Though it's perfect in summer, when you can make use of the manmade beach here, the train also runs a Santa special in the lead-up to Christmas. 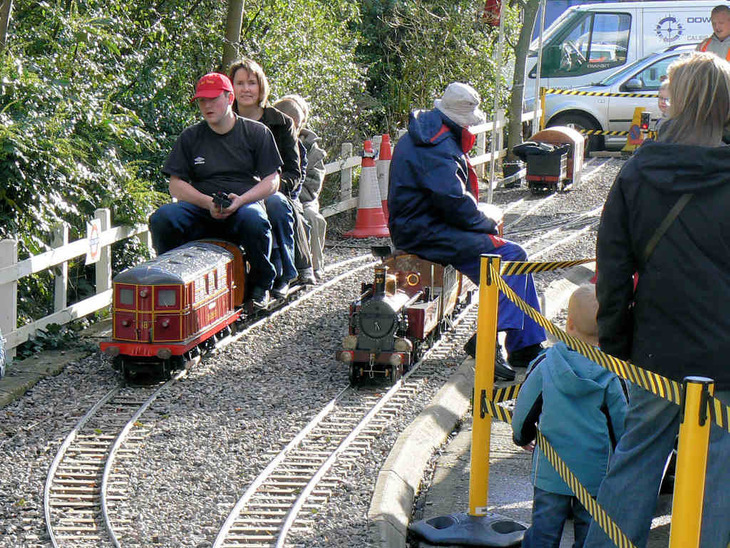 With a heritage stretching back to 1954, the Barking Park Light Railway makes for a pleasant miniature outing with the kids during the summer holidays, and as cheap fares go, it's hard to beat. There are three engines on the line, called Jack, Drewery and Gnat. There was once a level crossing too, but that's no longer in operation. You may or may not count the self-driving pods at Heathrow Airport as trains; they're not on rails but they do run a pretty much fixed route. Anyway they're awesome (as the video below proves). One rare train journey that certainly DOES exist at Heathrow Terminal 5 is the shiny transit train which whisks you from one section of the terminal to another. God bless the people who film their journeys on such rides. OK, so the former tube trains at Village Underground in Shoreditch aren't going anywhere fast (or slow) — they're static offices after all. However, on special occasions such as Open House London, there is the chance to sit in one of the 1970s cabs — replete with original dials, buttons, phone and dead man's handle — and pretend you're driving. Just when you're visiting, make sure you don't ask the people who work there "Doesn't it get cold/hot in here?" Apparently everyone asks that. While you can pretend to drive a train on London Transport Museum's simulator, at its sister depot in Acton, you can actually ride one. It's a 7¼in gauge railway, but there'a an array of beautiful stock; you might even be lucky enough to see their mini tube train. While you're at the depot you'll also have the chance to clamber aboard a number of decommissioned train carriages. An exceedingly nerdy afternoon out. We've covered a few of London's miniature railways, but Kempton Steam Railway, way out west of Twickenham, is something special. On Sundays between March and November each year, kids and adults alike can ride the picturesque Hanworth Loop in a carriage pulled by a cherry red 1903 locomotion (like Ruislip there are Santa specials running in December, as well as 'ghost trains' at Halloween). The functioning stretch of line is part of a bigger route, once used to transport coal from Hampton to Kempton. It's hoped the entire line will one day be up and running again. 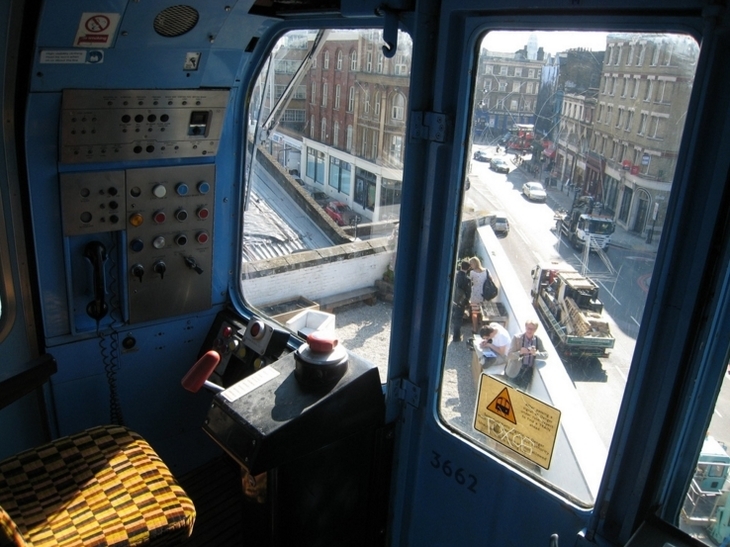 A couple of years back we wrote a piece on some of London's rarer train journeys. You replied to us with your own favourites, and this article is a compilation of them, along with some of our own new findings. Thanks to everyone who chipped in.